The Sixth Wife is quite a peculiar story, so I'm not quite sure what to make of it. Much of it is written in the far past, beginning by recalling Adelia's decision to marry an elf, Ametar, and the difficulties of growing old around him. We then get his perspective which seems to be driven by a somewhat twisted desire to continually marry unfortunate human women despite the fact that he does not age. The story progresses as Adelia and Ametar come to terms with how they might live without each other as she ages, or whether there are options for them to make it work together. I didn’t understand Adelia’s feelings for Ametar since he seemed really creepy to me! Equally, too much of this very short novella (more a short story) was not spent dealing with their relationship but with his past and his discoveries away from her, so no passion felt developed between them. The world building, however, was intriguing. It was well incorporated so that it didn’t take over the story, since there definitely wasn’t space for this, but captured an interesting fantasy world that I think I could read more of. It definitely made me wonder what Laura Lond’s longer stories are like. While The Sixth Wife didn’t work for me, I am a little curious as to how she might develop her ideas in a novel length story. I read the Audiobook, so what about the Narrator? The Sixth Wife was read by Matt Weight who is a good narrator, if a little monotonous. He has a nice rhythm and flow and speaks in the way of an old time story-teller, good for this sort of fantastical tale. 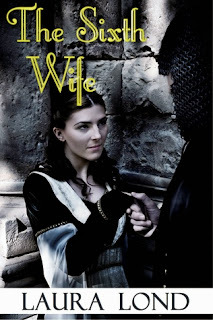 The Sixth Wife, written by Laura Lond and read by Matt Weight, was published by Laura Lond in 2012 and is 52 minutes in length. It is available from Audible and Amazon. This title was given to Love Reading Romance in exchange for an honest review. I had actually considered this novel so thank you for posting this review and being so detailed! I'm glad I could help, though I hate writing negative reviews. I do still have hope that Laura Lond's other longer works might be good though, as the problem was not with the writing or world building, more a lack of romantic development... and a creepy-as hero!